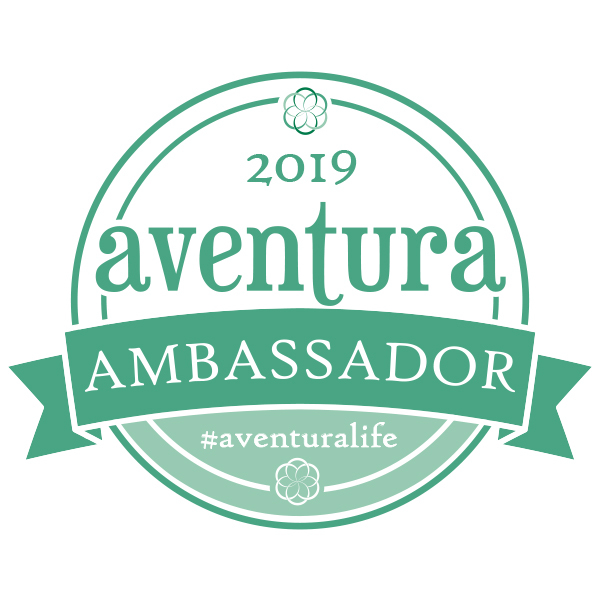 One of my favorite parts of blogging is building relationships with other bloggers and businesses. It amazes me how easily you can form some of these amazing relationships without even meeting! I've been so fortunate to collaborate with Tulip Boutique on multiple occassions through their Tulip Twist (navy dress, polka dot dress, burgundy leggings, tweed vest) Tulip Team Up, and a Week of Wear series I did. For winning a few of their fun Tulip Twist collaborations, I had some giftcards to them. 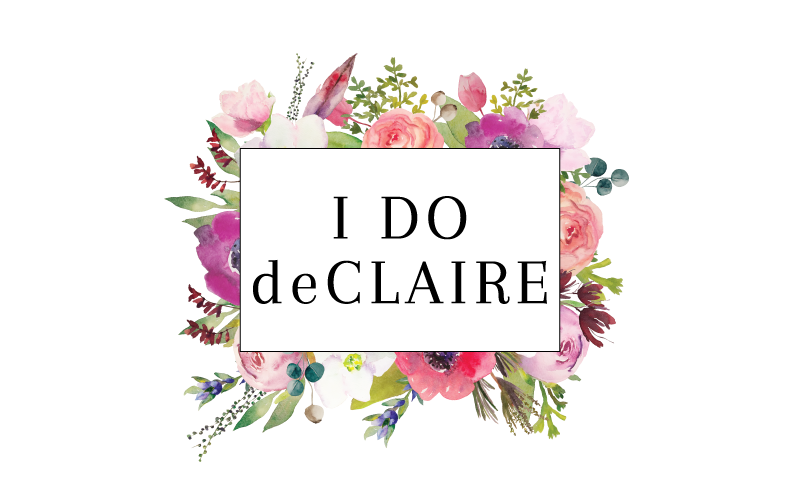 Since I don't (unfortunately) live in Kansas City and can't visit their darling store in person, I asked them to use those send me anything they thought would be good for fall. Last week I received this warm plaid poncho and burgundy blouse. The ladies at Tulip knocked it out of the park! For the first outfit, I paired this cozy poncho in quintessential fall colors with OTK boots, my favorite skinny jeans (I swear these things don't stretch out even when you wear them on multiple occasions), and a wide brim hat. I've been looking for a hat like this for a while and finally found it on a quick errand run to Target. Beats me why I didn't look there first. We find everything else at Target don't we? I can't find it online, but there were several at my store. I love the fun feather band detail! It made for a comfy and cozy outfit while running errands this weekend when highs were in the 50s. Since it is a reversible poncho I can't wait to wear it the other way, too. When you are on a budget it's great to get such a versatile piece! I actually had a burgundy blouse on my wish list. 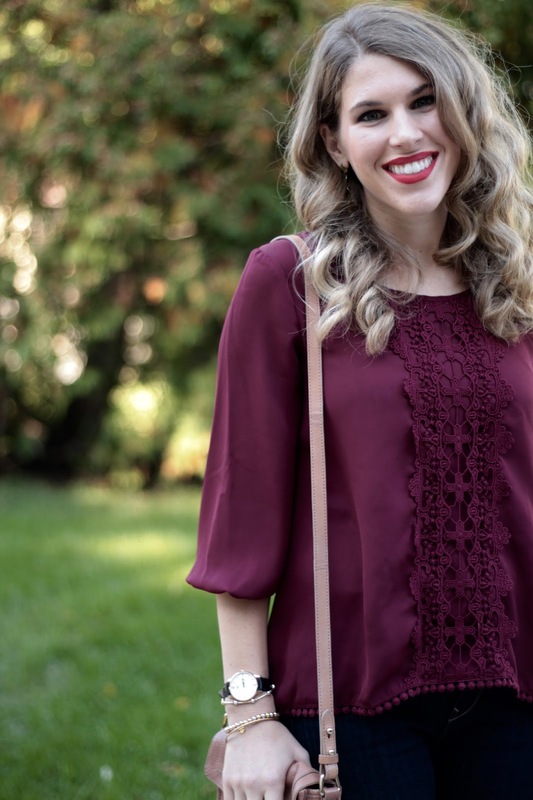 I have worn my burgundy pants an incredible amount of times (burgundy pants 10 ways here) so I know how versatile burgundy can be. This top is exactly what I wanted! The detail on it makes it stand out but the consistent color throughout makes it very versatile. I paired it with dark jeans and blush accessories for a store opening I attended last week. It will get worn so much this fall! Love both looks, the grey boots and bag are so perfect for Fall. 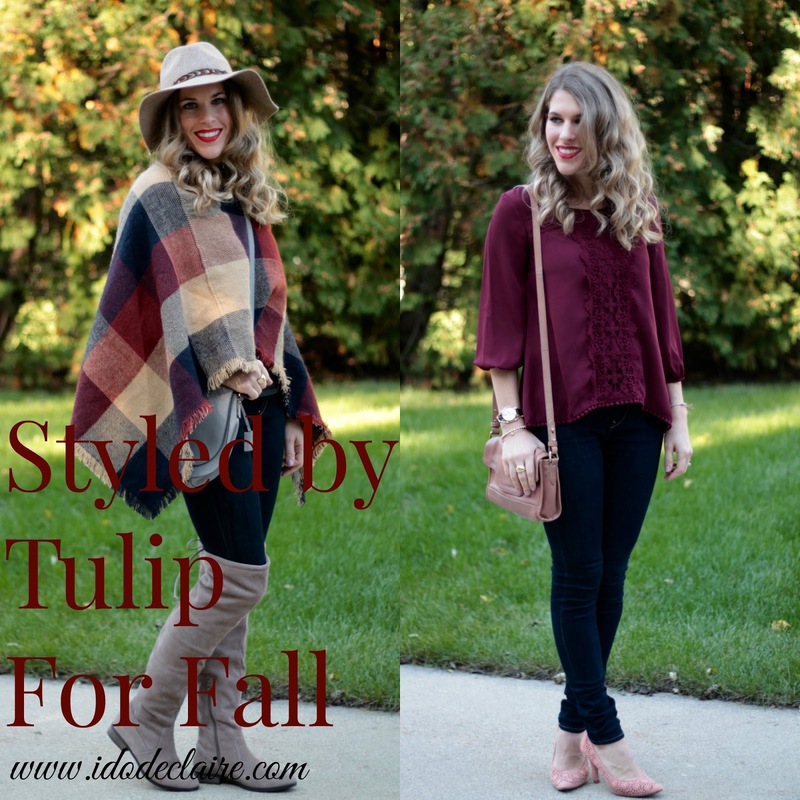 Love your plaid poncho and that burgundy blouse is so pretty! Perfect styling! Both of these outfits are perfect for fall---the colors are fabulous and I love those OTK boots!! 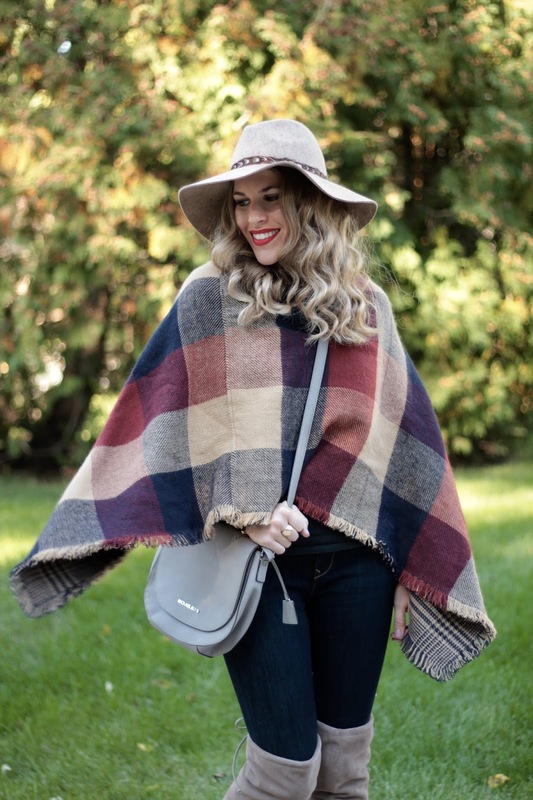 Dying over this cute poncho and how you styled it perfectly! The blouse is really pretty too. I need to check out their boutique! I love that cape and hat! Your hair looks amazing too! LOVE that poncho, and the burgundy blouse is so pretty! So in love with that plaid cape!! 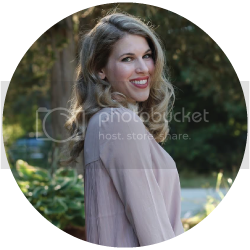 It is really fun when you get to collaborate with brands, and I love your fall stylings. 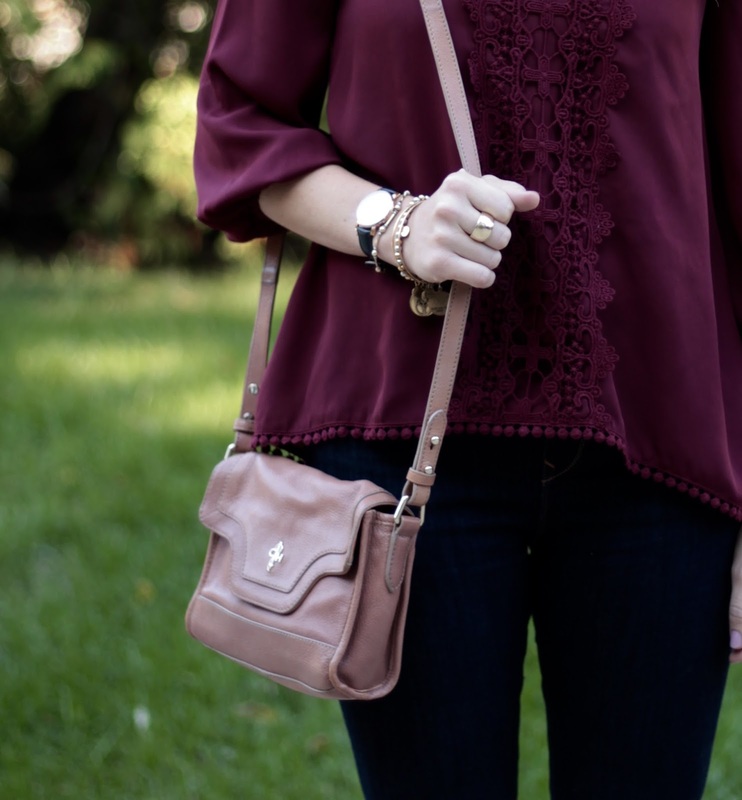 The burgundy blouse is perfect. Gorgeous blouse! I love the burgundy! I also love that poncho! Perfect to wear over everything and it just looks cozy! I have a feeling that poncho will be of great use during the fall - it's an amazing garment. What a perfect fall look! I love the poncho and would wear it all day! That poncho is Fab. Target get me in trouble. Special with there clothes. Have a great week. gorgeous outfit! Love the scarf! they did indeed knock it out of the park! I love your cape! The colors in it are so pretty!